At Penygaer Primary School we have a friendly parents association which has been running for many years. We organise fun events to raise money to provide additional equipment, facilities and services for the school. Thanks to the continued support from children and parents, we have been able to provide many things for the school, such as enhancing the outdoor areas and adding to IT resources. We are always looking for help at our events and we would welcome those who just want to help occasionally and those who would like to be part of the committee. So if you are able to offer time, expertise or just enthusiasm we would love to hear from you. You can contact us via the school office or come along to one of our meetings held throughout the year. 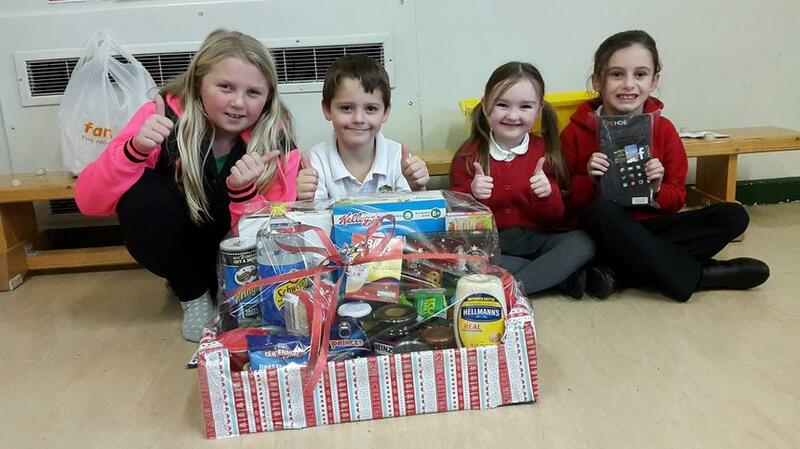 Congratulations to 4 pupils who today won the Parents' Association Christmas Raffle prizes. The 1st prize was an electronic tablet and there were 3 runner up hampers.